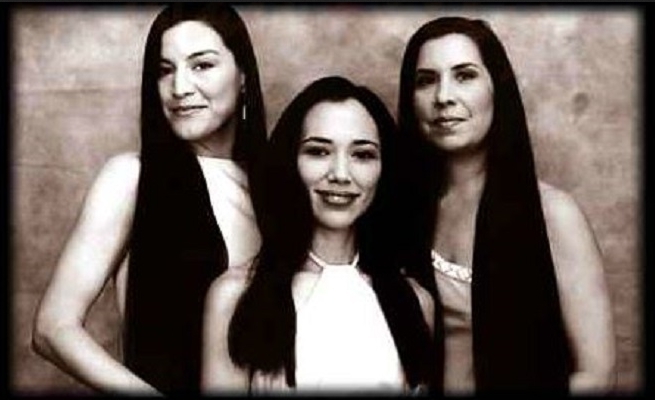 White Wolf : Naturally Native: The first film about Native women created by Native women. Naturally Native: The first film about Native women created by Native women. Naturally Native follows the lives, loves, pain, joy and relationships of three sisters as they attempt to start their own business. Of American Indian ancestry, but adopted by white foster parents as young children, each sister has her own identity issues and each has chosen a very different career path. Now dedicated to starting a Native cosmetic business, they attempt to overcome obstacles both in the business world and in the home. A touching love story of family and culture, Naturally Native also interweaves a subtle, but strong wake-up call regarding the treatment of Native people in corporate America. Naturally Native also provides some insight into tribal infrastructure and gaming issues. A Red-Horse Native production, Naturally Native is the first film about Native American women written, directed, produced and starring Native American women. Co-directed by Valerie Red-Horse and Jennifer Wynne Farmer ("Pumpkin Man"), the film stars Valerie Red-Horse ("The Secret of Lizard Woman"), Irene Bedard ("Lakota Woman: Siege at Wounded Knee"), Kimberly Norris (TNT's Geronimo), Pato Hoffmann (TNT's Geronimo), Mark Abbott ("Squanto: A Warrior's Tale"), Collin Bernsen (Cover Me) and Mary Kay Place (The Rainmaker). The film was written and produced by Valerie Red-Horse, executive produced by Dawn Jackson and Co-produced by Yvonne Russo. The director of photography was Bruce Finn, the production designer was Kee Miller and the editor was Lorraine Salk. Naturally Native was shot in the Los Angeles area in October and November 1997 with a total of 19 shooting days. Responses to "Naturally Native: The first film about Native women created by Native women." I watched and love the film...it's a special story that must be shared so that's what I will do!! Will this be available on DVD/Blu-ray? all the pain and sorrow of yesterday. your heart and soul of marrow let it glow today. divine beauty was always meant to be. For these wonderful gifts, I always see within you. Unconditional kindness, love, and beauty are always bestowed as a magnificent gift so freely, willingly, lovely and without any expectation forever truly. You smile like the sunshine smiles on every flower and the warmth of your eyes lights up the sky for miles. seeing you're beauty every morning. as it goes across the earth. softly flowing upon thy heart's gates and streams. like a beautiful passionate warm fire.